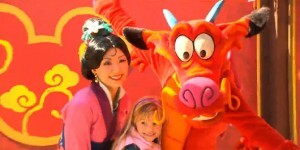 Guests who visit Disneyland Park this week will enjoy an added bonus: celebration of Lunar New Year! The Happy Lunar New Year Celebration!, which began last Friday and will run through January 29, includes special dance and music performances and decorations befitting the holiday. 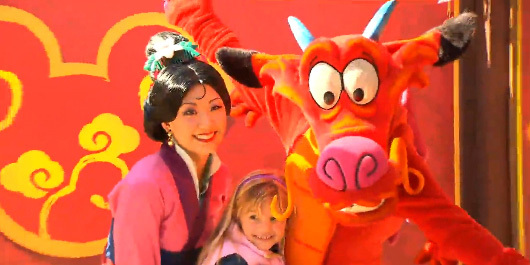 Extra character meet-and-greets will also take place in front of “It’s a Small World.” Mulan, Mushu, and other Disney characters will help to ring in the New Year with guests. The Lunar New Year is a time for celebration in the Vietnamese, Chinese, and Korean cultures, marked by special traditions, foods, and family celebrations. It marks the time of the year when the sun and moon begin their new year cycle.